If your organisation uses the Microsoft software stack and wants to empower relevant users with business intelligence tools, then Pyramid Analytics has one of the best offerings available. 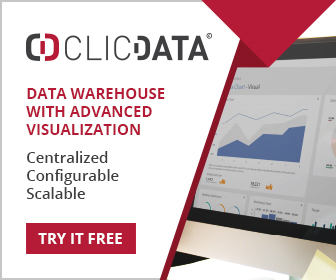 Using web browser based technology with a familiar Office look and feel it delivers the ability to analyse, create reports and dashboards from enterprise wide data sources. This is largely an OLAP query and reporting tool with good data visualisation capability. It does not extend to data mining or decision support functionality – other tools would have to be used for this. 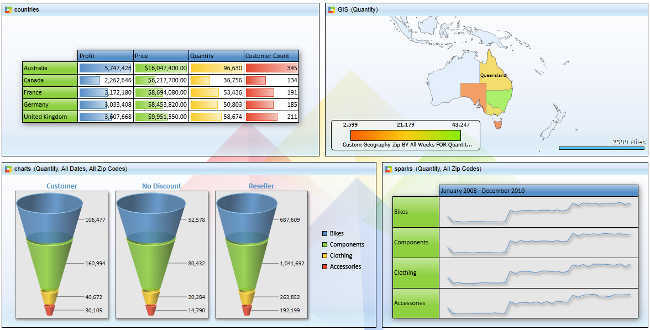 Pyramid Analytic’s offering is collectively known as the Business Intelligence Office, using the same look and feel as Microsoft Office but through a web browser. It supports the full Microsoft stack including PowerPivots, SQL Server Analysis Services (SSAS) and SharePoint to integrate with enterprise wide resources. There are two main components provided by Pyramid – bioXL which is essentially an OLAP cube browser capable of supporting analysis and reporting, and bioPoint which supports the creation of dahsboards. bioXL can access multi-dimensional and tabular OLAP cubes in SSAS and PowerPivot with a full array of visuals to support reporting and analysis. These include graphs, grids, gauges and GIS maps. Resulting output can be fed into bioPoint, the dashboarding system. bioXL also supports a variety of statistical functions and security can be integrated with Microsoft Active Directory. bioPoint provides a web based dashboard creation, management and viewing environment, allowing multiple OLAP cube queries to be grouped and formatted via a drag and drop interface. If desired bioPoint dashboards can be integrated into the enterprise SharePoint environment.